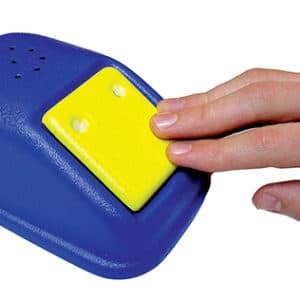 Specially designed communication devices, ability switches, adapted toys, light boxes and busy boxes for students with visual impairments, their special education teachers, and parents. Devices have high contrast, tactile and well-lit components. 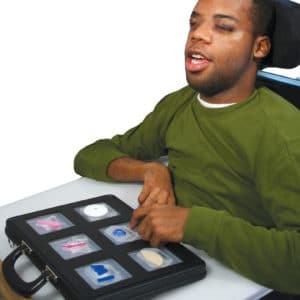 Just right for those unable to use a multi-button communicator due to visual or physical impairments, this unique communicator scans through pre-recorded messages at a volume that only the user can hear. Its large target area and bright red color make this a great choice for those who are visually impaired. 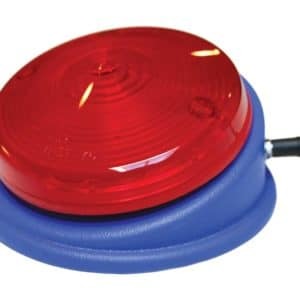 Simple to operate, this versatile switch lights up and vibrates when pressed, and will also activate an adapted toy or device. PLEASE NOTE: This item ships Ground only. 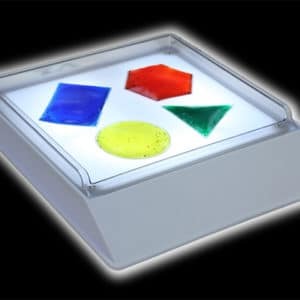 Our portable light box is a terrific tool for teaching shape and object identification, practicing writing skills and doing arts and crafts. To view accessories for this item click accessories tab below. 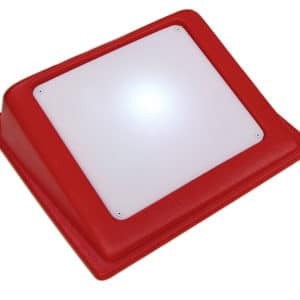 This multi-purpose musical light box can be used as a bright backlight. 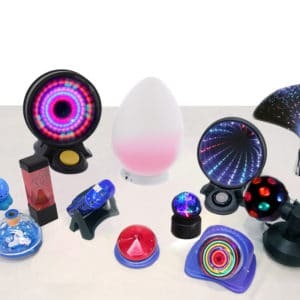 Everyone in your classroom will want to experience the dazzling lights and exciting music.